The Emmys expanded the number of nominees for best series to seven, because if you have a chance to award Family Guy with an Emmy nomination, you have to do it. I’ll be doing the same, minus the Family Guy thing. 30 Rock – Probably the most consistently funny show on TV, 30 Rock got a boost coming off of Tina Fey’s celebrated turn as Sarah Palin on Saturday Night Live, becoming THE buzz show for guest stars to appear on. This was a blessing and a curse, as the show sometimes strained to fit in all the different guest stars and their own extended cast, but still managed to have some fun with all the additional talent. I’m not one of those that always complains when the show loads up on the Jennifer Anistons, Jon Hamms, Selma Hayeks, and Oprahs of the world, because the frequent guest stars functions as a nice nod to the show’s inspiration (SNL). The trick is using the right guest stars in the right way. Better Off Ted – I’m cheating a bit including Better Off Ted as a qualified candidate, as it ended up finishing the rest of season one after the cut off. But, ABC did air what they called a “season finale”, and the show was eligible for the Emmys, so it’s eligible here (we’ll consider the summer episodes season 1.2). BOT looks to be the challenger to 30 Rock‘s throne as the most laugh-out-loud funny on TV, so I’m thrilled that they brought it back for more episodes. The Big Bang Theory – When I first started this thing, I hadn’t seen a single episode of the second season. I’ve taken so long to complete this thing that I’ve now seen the entire season. For consistencies sake, it would’ve made sense to continue to exclude it from nomination, but that would’ve just been propagating the same mistake. If I were to go back, I’d also give nominations to Jim Parsons and Kaley Cuoco (I’ll leave it up to you decide who they would replace). Flight of the Conchords – The second season of FotC had some struggles. Not only did the guys have to write a new season’s worth of episodes, they also had to write another album’s worth of songs (and then go out and act too). They used up most of their back catalogue in the first season, which they had years to develop, as opposed to the year they had to create the follow-up. They balanced this by leaning on the supporting cast a bit more in the second season, which worked to the season’s benefit. Another benefit was getting Michel Gondry to direct an episode, whose sensibilities match the show’s perfectly. How I Met Your Mother – Some of the rhythms of the show were thrown off last season by the pregnancies of both female stars, but it managed to make the most of it by coming up with some pretty funny sight gags in lame attempts to cover the belly. Which is what I love about this show: they never let an opportunity to be endearingly silly get past them. 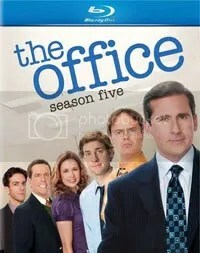 The Office – I’m already on record as saying this past season of The Office was “perhaps the best season in the show’s history”, so no surprises here. Scrubs – I stopped watching this show a few seasons ago, as it descended too far into cartoonishness and made Zach Braff insufferable. But I was enticed by the reviews covering the show’s move to ABC, as well as the suggestion that this would be the final season, and decided to check it out again. While I can’t say I missed it when I wasn’t watching it, I must say that revisiting its improved “final” season (the show will return next year in a much different form) made me nostalgic for the show. It wasn’t quite as good as it once was, but good enough to remind me how great this show once was. A fitting enough end to the story of John Dorian if not all of Sacred Heart. Winner of my Best Supporting Actress, Best Lead Actor, and recipient of two Best Supporting Actor nominations (and would’ve won best cast and best guest actress for Amy Ryan if I’d bothered to do those categories, which would’ve stretched this thing out to about half a year I imagine), so there’s no surprise at the winner here. The Office was the best comedy of the year, and it wasn’t even close. Since I’ve done four write-ups covering parts of the season in these posts, and will have to come up with one more when I write my top ten list for the year, I have little more to say about the greatness of season five. Big Love – Because it airs in January, it’s too easy to forget how great this show is by the end of the year. For what’s essentially a family drama, or a classier primetime soap opera, this show is deceptively packed with action and intrigue. The final three episodes of the season were all so filled with breathless moments that each of them felt like they could have been season finales. Breaking Bad – The first season was fresh, original, and exciting, but uneven at times, particularly due to the writer’s strike cutting the season short (although, it was still good enough to rank seventh on my year end list of 2008). Given a full slate of episodes and a hiatus that let them completely set the direction and tone, the show came back with a second season that was amongst the very best of the year, and possibly the decade. Breaking Bad has gone from very good to potentially all-time great. Friday Night Lights – After an uneven second season that took some mis-steps in the attempt to draw in ratings, FNL made a Dillon Panther-like comeback in its third season. True, it did so by largely borrowing themes from the stellar first season, but when you can hit notes as well as they did, I’m not going to complain about re-visiting them. In Treatment – The show has a high degree of difficulty for success, as it can’t rely on anything but the quality of the writing and acting. There really isn’t anything else to this show, so if either element isn’t exemplary, it doesn’t work. Luckily, the writing was just as strong in the show’s second season as it was in the first, tightened up a bit due to the reduction in episodes. The acting was even stronger than the first season, with five nights of compelling clients, as opposed to the imbalance that happened at times in the debut year. Lost – Lost is the only traditional network show to garner a nomination, if you define “traditional” as “airs solely on network TV while running a full slate of episodes” (Friday Night Lights airs on DirecTV as well as NBC, and only airs 13 episodes to Lost‘s 17, which is already less than the standard 22). At this point, it’s almost unfair to compare network dramas with cable, as its easier to tell the story you want to tell when you don’t have to stretch things out, reach for sweeps, or deal with the increased competition for ratings. In this instance, Lost is the exception that proves the rule, as it became a great show once again as soon as it: set an end date (thus protecting it from ratings stunts), and shortened its episode orders. Basically, it became great again by functioning more like a cable show (if you think about it, it probably never would’ve slipped in quality had it been cable to begin with). 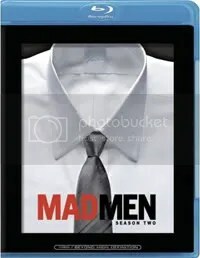 Mad Men – Winner of two awards, nominated for the other two, and my number two show of the year to end last year (second to an show ineligible for this award). I think we all know where this is heading. The Shield – After seven seasons of getting Vic Mackey in and out of tight squeezes, The Shield closed things out with a final season that brought everything together, resulting in one of the best final seasons in TV history and a final episode that still haunts me. Given all I’ve written about this show, this is hardly a surprise. But it was surprisingly close, as the second season of Breaking Bad ran neck and neck with the second season of Mad Men. Hard to believe the two best dramas on television are on AMC, a network I didn’t even know existed two years ago. If a channel that used to specialize in Karate Kid marathons can produce two gems like this, you have to wonder what the rest of TV is doing wrong. I can’t argue with Mad Men, I look forward to it every week. But, I must say the last season of Big Love was their best – I devoured it in about 3days. The previous two didn’t capture as much as the third season. Granted that is about how long it took to watch Mad Men as well. I agree that season three of Big Love was the best of the series to date. Less focus was put on Bill’s crazy schemes, and more placed on what the effect all his schemes and the Hendrickson’s lifestyle has had on everyone. While it still dealt with the exterior threats posed by Roman, Ted and Cindy, and Hollis Green, the real struggles were existential – Bill trying to find meaning in the family trip or lying on his back in the barn (and largely coming up empty), Nicki re-examining the abuse she’s suffered throughout her whole life, Barb feeling completely disconnected to her beliefs and family, Sarah struggling with her place in life. All powerful stuff, and all more interesting than Bill building a gambling empire.